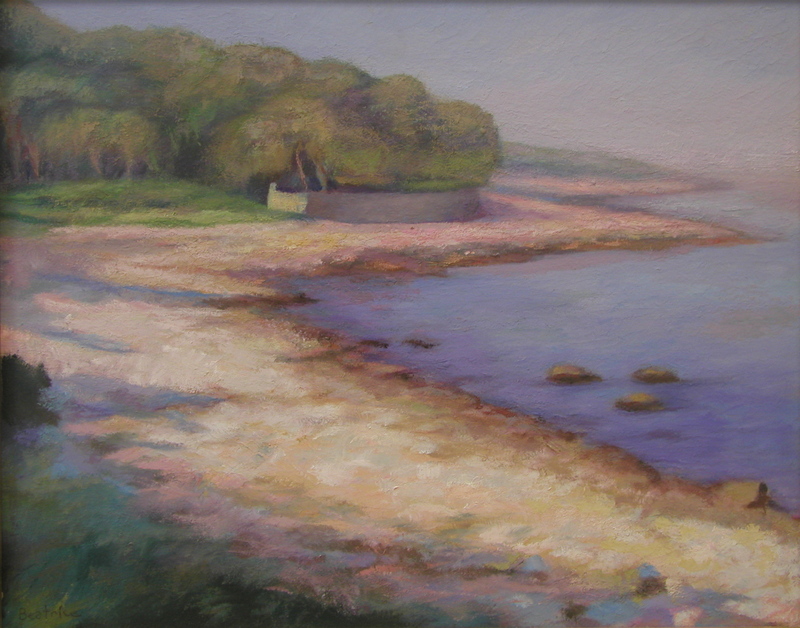 Manchester Shoreline oil on board, 16"x20", framed. Manchester is a lovely town next to Gloucester on the Massachusetts coast. The painting is done from the cliffs overhanging the harbor.